Some deals are different to others and would expire at a set time. They would need a countdown timer to inform buyers about the remaining time to grab the deal it before it expires. 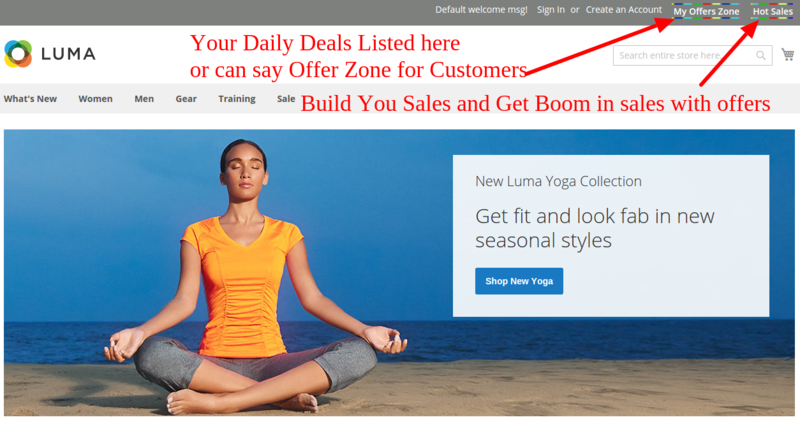 Showcasing such deals on your Magento 2 store is much easier with Daily Deal extension. This extension aims to take the buying and selling experience to the next level as this supports single and multiple deals at the same time. The deals are activated & deactivated automatically with the help of flexible countdown timer. 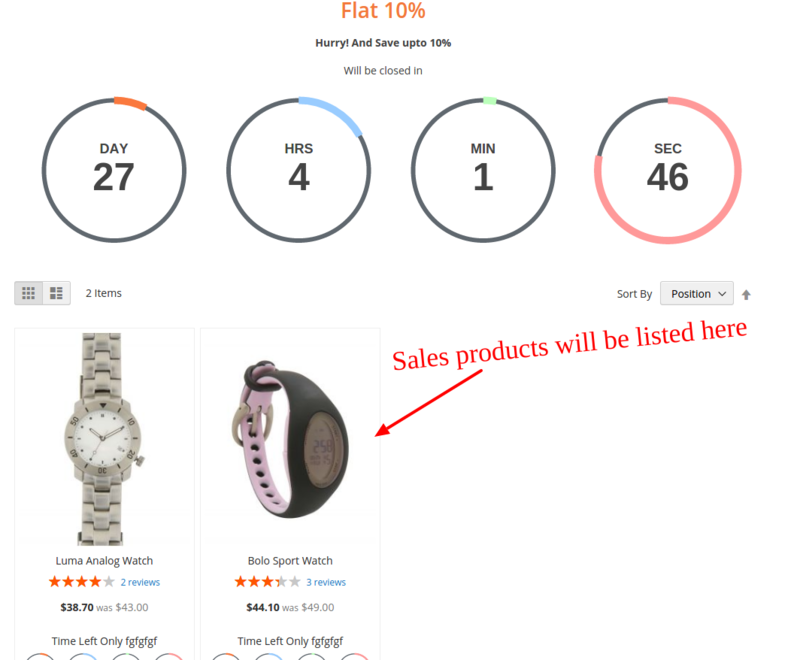 The eye-catching frontend design, easy to customize the color scheme and attractive countdown timer makes it a must have for every Magento2 store. 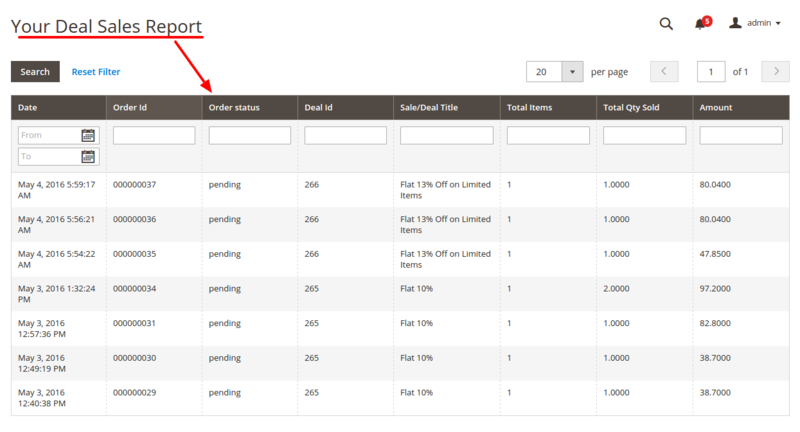 It also offers customer back-end theme matching which makes it quick and easy to upload. Another great function of this extension is that it gives the store owner a quick look through all special deals arranged. That will help the store owner to create effective promotion plans for more sales. In addition, customers can review all of your deals in three tabs: Current Deals, Past Deals, and Upcoming Deals. 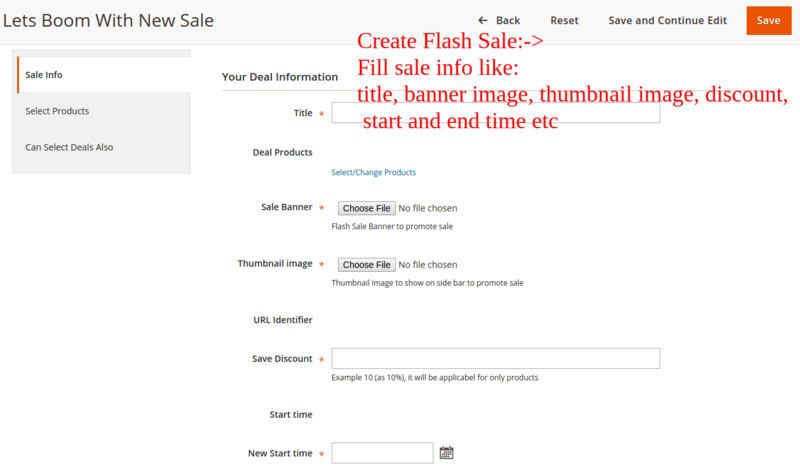 • Manages quick sale start and end time. Auto deactivator is enabled after the end time. 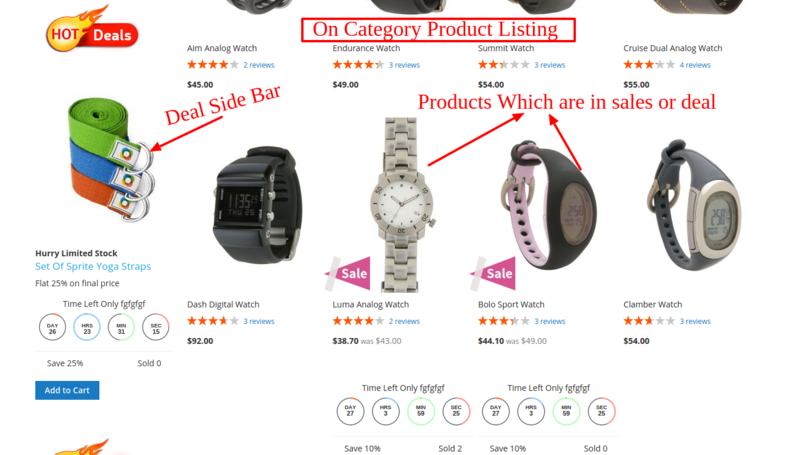 • Makes deal reviewing smooth by building three tabs, current deals, upcoming deals, and Expiring deals on the listing page. The major challenge that online business owners face is losing potential customers at their e-commerce store. 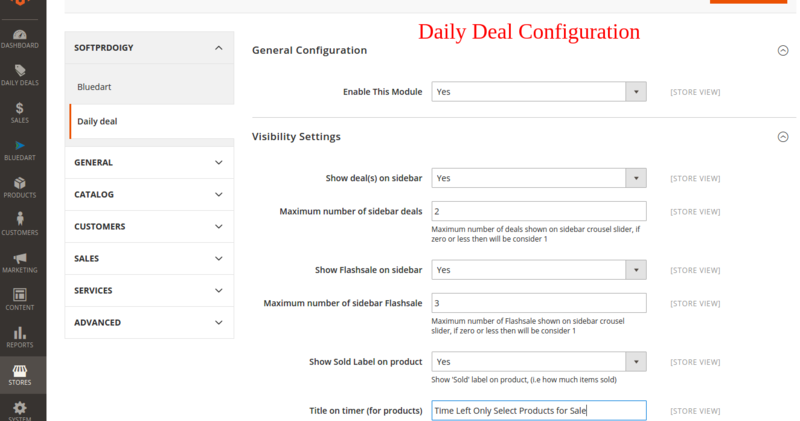 With a wide array of features, Daily Deal Magento Extension promises to impress online retailers that are planning to boost their business. As always softprodigy delivers a lovely extension, which allows me to create a quick special deal. It is very to install and to use with a detailed guide. Thank you, Softprodigy! Very good extension, I always find a great support service. And they're always willing to help no matter what you need. It's will be done as soon as you ask for. It's been more than i year i installed this extension on my website and it is simply superb. I purchased it to launch deals on festival seasons but this proves to be amazing on non-festival days too as its countdown timer is simply tricky and customers will definately purchase from my store. 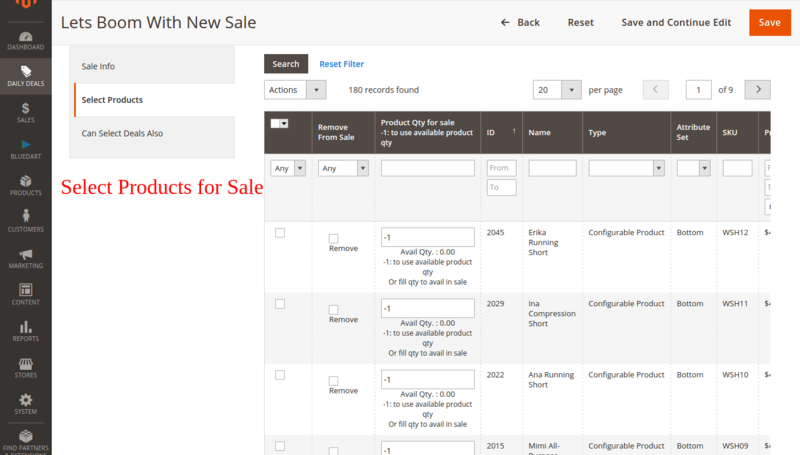 this is simple and user friendly magento exfensio. I can easily launch multiple deals even coding anything and they are super amazing and engaging. It is a must have for magento websites. 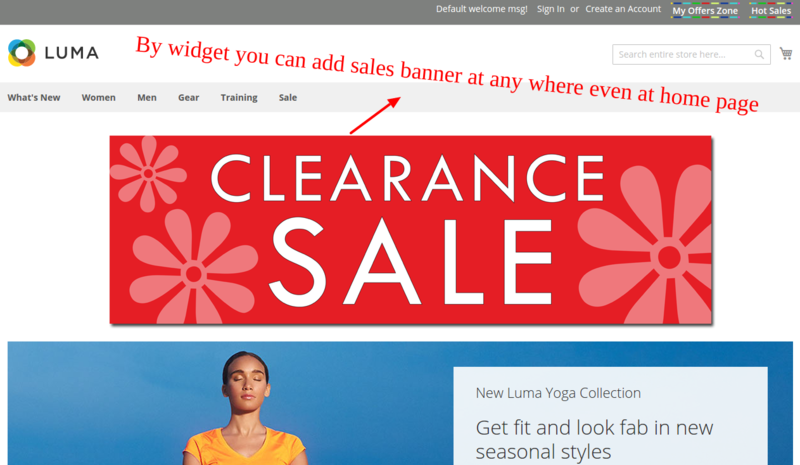 Recently installed this extension on my Magento store and the extension proved to be very much effective and impactful. It's countdown timer is simply great. Creating deals is easier than ever with this extension. And the countdown timer makes it a must-have for every online shopping platform. Great job guys. It has been a great experience using this extension on mywebsite. The ads look attractive and the countdown timer ales the deals better than other methods. This is simply a great magento extension and works superb with other extensions that are currently installed on my website. 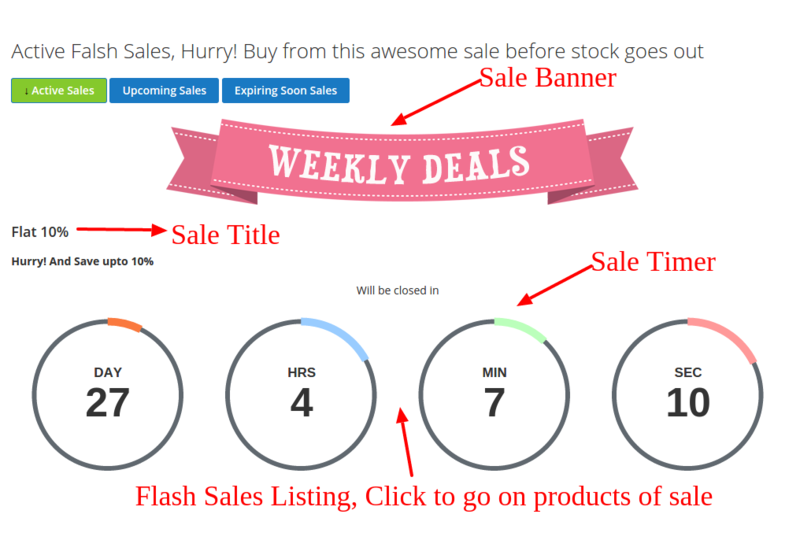 I can create multiple deals on the store with an attractive countdown timer for better results. Great work guys. I am loving this extension as creating multiple deals is super easy with this. Also it's future deals feature is something amazing as my consumers can see what better is coming to them. Really helpful Magento2 extension. 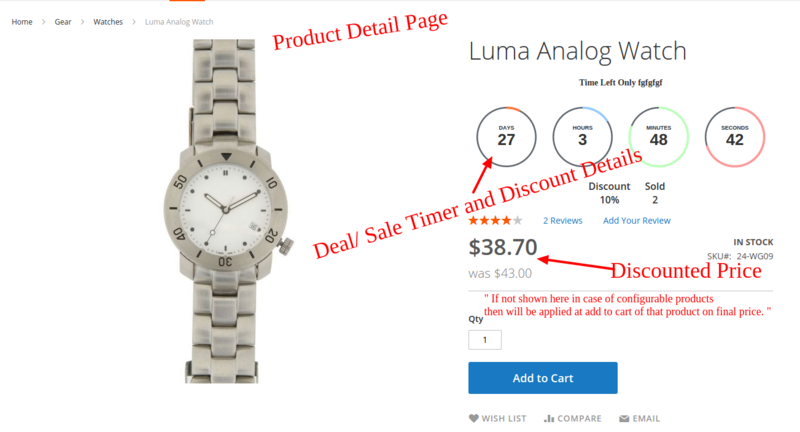 I guess my visitors are just loving this new feature on my website as they see the countdown timer with each offer I launch on the store. Thanks a ton guys. It's been a month now I installed this extension and the results are quite visible. Technical team is quite supportive.